A few nights ago I opened a bottle that some friends gave us in October—the 2004 Tyrus Evan Del Rio Vineyard Claret. As is my habit these days, I inscribed the bottle with the names of those friends and the date—and upon opening it two months later, I noticed that they had done the same whenever they received the bottle, which seems to have been at a fund-raising auction. I love the scribbled-on, personalized look of the bottle now (or at least I did before I recycled it), especially since those notes gave the wine a sense of history. Years ago I worked at a magazine where Anne Fadiman—who later became the editor of The American Scholar—wrote a column about all things literary, and my favorite of those columns concerned the proper place to inscribe a book. (In case you’re wondering, it’s the flyleaf—that blank page in the front—rather than the title page, which is reserved for the author.) Revisiting Anne’s column recently made me wonder: As the printed book slowly (and sadly) goes the way of the telegram, could inscriptions on wine bottles become the new, hot way to say ‘I care’? And if so, what’s the proper place to inscribe a bottle of wine? There doesn’t seem to be much authoritative commentary on this, so let’s decide for ourselves: The front label makes the most sense to me, since the winemaker’s signature usually appears on the back label. There’s also the option of just writing on the glass, and while there are pens made for just this purpose, any gold or silver pen from an art supply store will do. While wine experts may not have much to say on where to personalize your bottle, many do suggest marking the bottle with the date you opened it, so as not to let it sit too long and turn to vinegar. In my house, wine is rarely open and unconsumed long enough to run that risk—but if it’s a problem in your household, you might try that system. Or, consider buying this gadget: a wine stopper with twistable date rings, created by designer George Lee. A great last-minute gift for your favorite wine lover…. This Christmas, I’m giving one wine-loving relative a bottle of Bolinas-based winemaker Sean Thackrey‘s 2008 Andromeda Pinot Noir, made from grapes grown at Nicasio’s Devil’s Gulch Ranch. I have to say, it was gratifying to buy a bottle with “Marin County” proudly emblazoned on the label—especially knowing that what’s inside just has to be good, given Thackrey’s reputation. (Just don’t expect it to taste like Pinot, wine-loving relative… One reviewer of a past vintage said Andromeda tasted like Syrah, while another said it tasted like Sean Thackrey—but no one has called it a characteristic Pinot.) You can read more about Thackrey here, and for other ideas for buying local, check out Homegrown Marin Market online and sign up for their free membership. My sister lived in Bolivia for a time, and she used to rave about the Pisco Sours she enjoyed there, even if they’re more closely associated with neighboring Chile and Peru. When I went to visit I tried the cocktail, and it didn’t really take — but I gave it a second chance a couple of weeks ago, at San Francisco’s La Mar restaurant, and now I’m sold. The Pisco (Peruvian brandy), lime juice, simple syrup, bitters, and egg white froth all came together in a not-too-tart, not-too-sweet form of poetry. I realize this makes me sound a little bit Ugly American – like the kind of person who wishes aloud that the food in China tasted more like Panda Express. But La Mar is no Panda Express. Following that pitch-perfect cocktail, my friends and I enjoyed traditional Peruvian causas and ceviches and a bottle of 2007 Kingston Cariblanco Sauvignon Blanc from Chile’s coastal Casablanca Valley — and the gushing never ceased. With South America on the brain, a few days later, Peter and I opened a bottle of 2008 Carmenere from Casa Silva winery, located in Chile’s Colchagua Valley. Although I wouldn’t call it pitch-perfect, I thoroughly enjoyed its blackberry aroma and bold, tannic mouthfeel. Not food-friendly, but a nice, inexpensive ($12 a bottle) wine to drink on its own in the wintry months. I looked for Casa Silva’s wines in the Guía de Vinos de Chile, the country’s much-revered annual wine guide, and found that the 2009 Sauvignon Blanc actually earned a top-ten spot in the by-varietal category, as did the winery’s higher-end Gran Reserva Carmenere. But back to that Pisco Sour. Something else was happening the night I sipped my new favorite cocktail in La Mar’s spacious bar: the San Francisco Giants were about to beat the Philadelphia Phillies in Game 4 of the National League Championship. Me then: sighing heavily, my back to the TV screen, as my companions insisted that we wait and see the final outcome instead of moving to our table when the game was tied 5-5 in the 9th inning. (Who was that woman?? Can Pisco Sours really change a person that much?) Cut to me last night: glued to the couch for the third straight night until I had to join the rest of the Bay Area in the collective screaming frenzy that came after the strike that won the Series. Another fine argument for giving things a second chance. 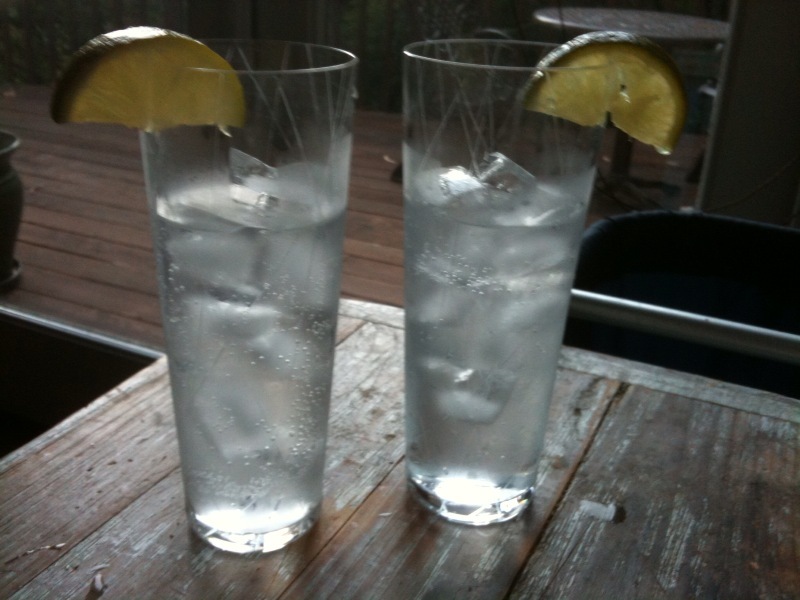 My husband and I both love gin-and-tonics, but only one of us (guess who) believes that they can’t be served after Labor Day—so only one of us is feeling a little sad that today’s G&T will be her last of the year. The question of whether such rules matter made me wonder if any comparable rules exist in the world of wine. The only example I could think of was Beaujolais Nouveau, which is released every year on the third Thursday of November and—for reasons having to do with both taste and marketing—is usually consumed soon thereafter. But while I don’t think we need to get sexist about it, I’m also not really one for cocktails before 5 p.m., except for Bloody Marys on Thanksgiving. And lest that makes me sound like too much of a rules freak, I’ll give the final word on the topic to this guy. Wine and life—or at least wine and pop culture—intersected in two very enjoyable ways for me last week. I happened upon the first in the pages of the Wall Street Journal, which is my daily paper of choice (I suffer the pun-filled headlines and painful editorial page for the outstanding culture and food-and-wine features). 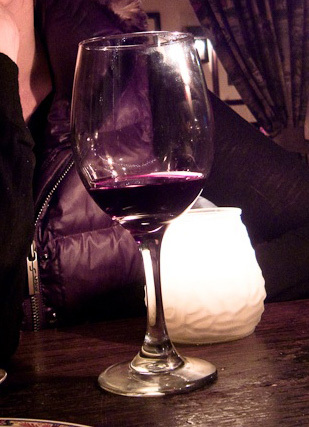 The Journal has just added two new wine columnists: Jay McInerney and Lettie Teague. McInerney has long written about wine for the now-defunct House & Garden magazine, and his two books on wine, A Hedonist in the Cellar and Bacchus and Me, are collections of those H&G columns. I love his new column in the Journal—it’s brimming with evocative, conversational descriptors, like when he compares Dom Pérignon pink Champagne to the actress Julianne Moore, whom he had just run into in the West Village. Teague’s column is equally impressive, but there’s a bit more ‘wine industry insider’ in her tone—which makes sense, given her longtime status as wine editor for Food and Wine magazine. The two writers will share the On Wine column, appearing on alternate Saturdays. Later in the day that marked McInerney’s column debut, I happened to rent A Good Year, the Russell Crowe adaptation of Peter Mayle’s novel about a London financier who gives up—not quite voluntarily—his manic urban existence to run a long-lost uncle’s vineyard in Provence. The plot is a bit thin, but the film is pure eye candy. Pair it with a nice Bandol.